We all know that finding products to sell online profitably is pretty difficult. That is why we have decided to share this SaleHoo review with our readers so you can get as much information as you can and ultimately determine if a service like this is for you. If you’re looking to make a profit from selling products, you’re likely to have done lots of research into the best way to achieve that. On your travels, you might have come across SaleHoo, so we give you the down low on the service and whether or not it’s a good fit for you. 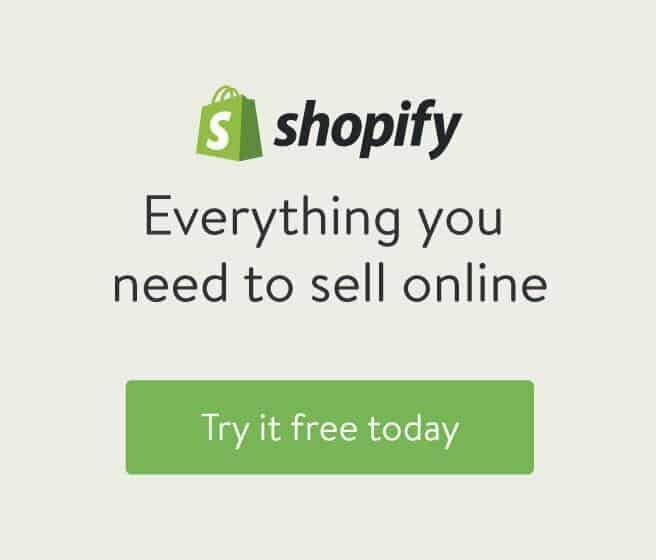 We have already shared an article about dropshipping and Shopify and Salehoo is the perfect solution for taking the first step – defining the right product. Set up in New Zealand in 2005, SaleHoo is an online wholesaler that connects the customer with dozens of online wholesalers, dropship companies, liquidators and manufacturers. They don’t sell directly to you – instead, it’s an online tool that you use to search for products and companies that supply products. You can also use this software to compare such companies. Using the built-in filters, you can sort and search by brand name, product name and product category. Although this company is New Zealand-based, many of the suppliers it lists are in the US, UK, Canada, China and Australia. The company offers a good referral program, which means lots of people have reviewed them online, and you can read these reviews to get your own sense of the company. We’ve read them all, and think that some are really enthusiastic, while others are very negative. Personally, we’re somewhere in the middle – it’s not the best tool of its kind, but it’s definitely a legitimate service that customers can use to source products they will ultimately sell online. Selling by sourcing through SaleHoo gives you the opportunity to set your own hours and be your own boss, the modern professional dream. Dropship businesses have changed over the last few years, but it’s still a great option for bringing in significant extra money. Whether that allows you to really be your own boss or support a family depends on how hard you work and how lucky you get. One thing is for sure – it may be possible, but it won’t be easy. We’re confident, however, that it’s a genuine tool and offers a real service at a cost of $67 annually. It would be great if we could tell you that this platform was a sure thing for your business, but we can’t. The best we can recommend is to sign up and give it a serious go. What Is The Strategy Behind and How Can You Use it? Once you sign up with them, you use the search and filter functions to find products that you’d like to sell, or suppliers that you’d like to work with. When you find such a product or company, you get in touch and place an order. On the supplier page, you’ll see helpful data like how long they take to ship, the minimum you have to order, etc. Now you must choose if you want to ship the products straight to your customer, or purchase bulk quantities of the product and do the shipping yourself. Generally, the first option is easier, but the second is more profitable. 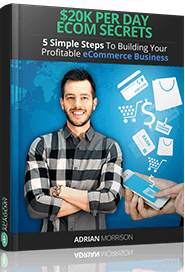 Your product sells on whatever online platform you use – your store, eBay, Amazon, etc. Once the product has been sold, you purchase it from your supplier from the SaleHoo directory, and they ship it directly to your client. To illustrate how you make your profit, you might sell a product for $50 on Amazon, but purchase it for $25 from your supplier. The difference is your profit, but remember that you’ll have to set some money aside for fees and credit card charges. In order to access wholesale prices, you have to buy them in bulk and ship them to a warehouse. When you receive an order, you ship the product from your warehouse to the customer. This method is a double-edged sword – you run a risk in buying the product in bulk upfront, and you have to take on the effort of storing and shipping products. In return, the profit margins are uslly better. How Secure Is This Tool and What Profits We Have Achieved? If you’ve ever bought something from China, you’ll know that there’s a risk it’s counterfeit. You can never really know who you are dealing with, and with improvements in technology, even fake goods can be really, really convincing. Not so with SH. They ensure all their suppliers undergo a rigorous safety check which prevents fraudulent activity and counterfeiters. That means that all the SH suppliers are real companies with genuine products. If you’ve got this far down the page, there’s a really good chance you’re interested in finding out if you can make a profit with this selling platform! The easy answer is yes, but you’ll have to put in a lot of effort, and deal with serious competition – lots of people want exactly the same thing as you. As the number of online shoppers grew – and continues to grow – the number of people selling their products online as also increased, which means that the market is now over-saturated and really competitive, with hundreds of people all trying to sell the same products. That doesn’t mean that you absolutely can’t make a profit, but you do have to be a little bit more clever about it. That’s why a service like SHwill be able to help. If you’re finding it hard to source products to sell, there are millions to choose from in their catalogue, and the tool provides helpful filters to make your job easier. It’s not easy to guess how much profit you might make, mainly because depending on your niche, products, and the levels of competition, it will vary. Extra fees haven’t been included in the examples, so bear that in mind. You’ll need to work out all the fees you’ll have to pay before you make an order – it’s the only way you’ll know what profits to expect. Do a little bit of research using a tool like Google AdWords to get an idea of competition levels and other things that will affect your sales. As soon as you’ve set up an account with SH, you can begin working with suppliers from the directory. The vast majority will ship internationally, so it doesn’t matter where you are, and the suppliers don’t require you to put down any money at the start, so you won’t need to buy in bulk or order 10 to get started. The annual cost for access to their directory (1.5 million plus products) is $67. There are no other fees to use the directory. To pay the annual fee, you can use PayPal or a credit card, and membership includes access to a training center for sellers, forum, a blog about ecommerce, tutorials and tools for conducting market research. There is no trial period, but there is a 60-day money back guarantee on your annual membership. What’s the Online Store Builder? When you’re checking out the tool, you might see that SaleHoo offer an online store builder for $27 a month (Basic), $47 a month (Standard), and $97 (Premium). The service is pretty good – there are 15 professional-looking store templates and built-in marketing tools, so you don’t need to have any store building experience. The online store option is a good option for building a shop quickly and easily, even though there are much better options available elsewhere. Can SaleHoo Membership be Canceled? Sure, you can cancel your account with no restrictions. No matter what the reason – no customers, no good products, too complicated, not enough profit – you just have to call or email their support department which will manage the cancellation for you. If you cancel in the first 60 days, you’ll get 100% of your money back as per the guarantee. You’ll need to show some proof of purchase, but that’s it. How can I make SaleHoo work for me? When we set out to write this review, we wanted it to become the go-to resource for anyone interested in SH, which is why we also want to share some tips to help you get the best from the tool. Most importantly, you need to get to know how dropshipping works before you make or accept any orders. This is easy if you use the resources and guides provided by SalesHoo for their members in their Seller Training Center. Make a list of any suppliers you want to work with and products you want to sell. Our rule of thumb is to find 2 – 3 sellers for every product, and compare them well to see what the differences are and pick the best one. Once you’ve got a list of candidates, do some research into them by asking questions and looking for advice in the forum. This last point is really, really important – just because some guy you talked to is having major success with his thing doesn’t mean that it’s going to go the same way for you! Keep your mind open and be receptive to new ideas. When you’re as prepared as you can be, you can list your products for sale. If you can, mark up your price by 10% to boost your profits. Do You Need Any Additional App Or Software Along With SaleHoo? Salehoo is an all in one suite tool and you actually don’t need any additional software to get things rolling. What most people are using with this platform to create marketing videos and other promotional material is Viddyoze. You can read more about Viddyoze 3 software in our review. SaleHoo has good customer support. It’s open Monday – Friday, 5:30 p.m. to 1:30 a.m. Eastern Standard Time on 1.800.322.7952. Take some time to check out the other resources too, because things like the training center and ecommerce forum are very useful and will help you be successful in your goal of selling online. Because the resources are so good, in fact, you probably won’t need to call customer support very often – in the 4 years we’ve used them, we’ve only had to contact them 3 times. On one occasion, we called because we were interested in selling remote control cars. The representative was very helpful, and showed us where to find suppliers, as well as directing us to helpful information that allowed us to increase our sales and boost our drop shipping business. The bottom line of our Salehoo review is that this eCommerce platform is good if you want to get started, but don’t have a lot of money. Primarily, it’s a great alternative to looking for suppliers on your own and possibly falling victim to counterfeiters and other untrustworthy types. This means that there is very little risk for you because every supplier is verified, and all products are legit. Sure, if you have time and knowledge, you could probably discover these suppliers yourself, and we know for a fact that they do exist, even when we’re talking about China. Even so, we can understand that not everyone is going to want to deal with the possible risk, fees and effort involved in this option. If $67 a year seems like a reasonable wholesale directory fee to you, then we recommend SaleHoo out of our review. Even if things don’t work out, you’ll be able to get your money back thanks to the 60-day guarantee and, at the very least, you’ll have gotten started in the world of dropshipping – you might even pick up some tips, or make a few contacts. 1.0.2 How Secure Is This Tool and What Profits We Have Achieved?